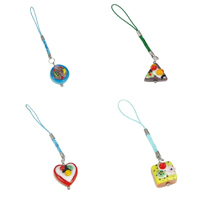 - Various of lampwork jewelry phone lanyard in different designs and shapes to meet your special demand and taste. 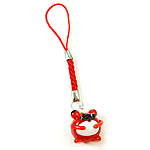 Shinning and glittering lampwork jewelry lanyard is the beautiful decoration to your cell phone. Choose what you like. Available in package and wholesale.